A large component of determining how competitive a subject is entails finding complementary and competitive products. Complementary products are products that people would purchase in addition to your cookbook; competitive products are products that people would purchase instead of your cookbook. There is also a gray area since many books might overlap with your cookbook but people may purchase both of them. For example, a book on BBQ might cover grilling as well, but many people might still buy an in-depth grilling cookbook. Complementary products are products that are used with the recipes in your cookbook or other books that add to or fill out the knowledge you provide. So if you are selling a book about grilling, then some complementary products would be grills, spatulas, and charcoal. Also books about marinades, BBQ sauces, dry rubs, and smoking might be complementary products. Complementary products are important for several reasons. The amount of complementary products available helps to illustrate how popular a subject is. If there are a large number of products, there's usually a lot of customers willing to spend money on that subject. 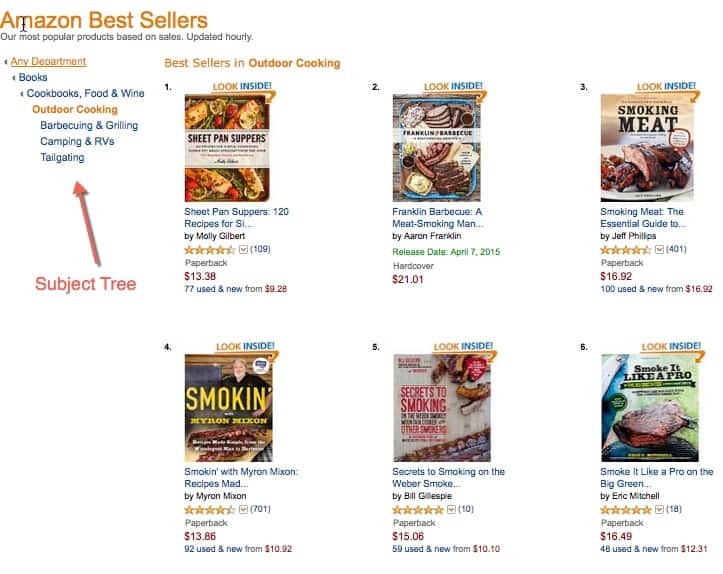 This is a great indicator that there is a demand for cookbooks in that category. Another important factor for complementary products is the Amazon "Frequently Bought Together" and "Customers Who Bought This Item Also Bought" product listings. Having your cookbook show up in those locations is a great way to garner free marketing to the customers who might be explicitly looking for your cookbook. The more complementary products there are, the more chances you have to get in front of potential customers. Competitive products are those products that provide the same, or similar, information and recipes as your cookbook. They are all products that people would buy instead of your cookbook. Though one thing to keep in mind is that a customer might still buy your book even if they buy a competing book. Many people will purchase several books on a subject they feel passionately about. Competitive products are a two edged sword. The more competitive products there are, the higher the chance that subject matter is popular. However, the more competitive products there are, the harder it is to get noticed in that subject. If there are no competitive products it is easy to stand out but it might also indicate there is limited interest in that subject. 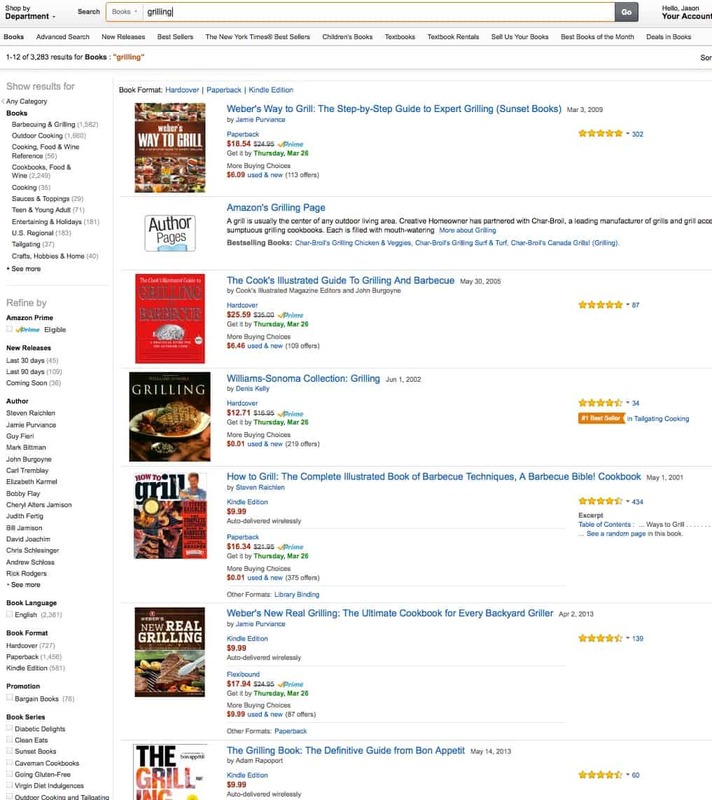 Searching on Amazon for "grilling" results in thousands of grilling books. Definitely a popular subject, but would your book ever stand out? Searching on Amazon for "Goats in Trees" only returns a few relevant results. You'd easily get to the top of the search results...but would anyone be looking for your book? It is easy to identify and eliminate subjects at the end of the spectrum but there is a wide gray area in the middle. There are many ways to determine how the competition stacks up in a certain subject. One of the important criteria for entering a market is the ratio of complementary products to competitive products. If you can find a market with a high number of complementary products (shows customers are interested in that subject) with a low number of competitive products (easier to stand out in) then it is a good indicator that people are interested in a book on that subject and that the book will easily stand out. 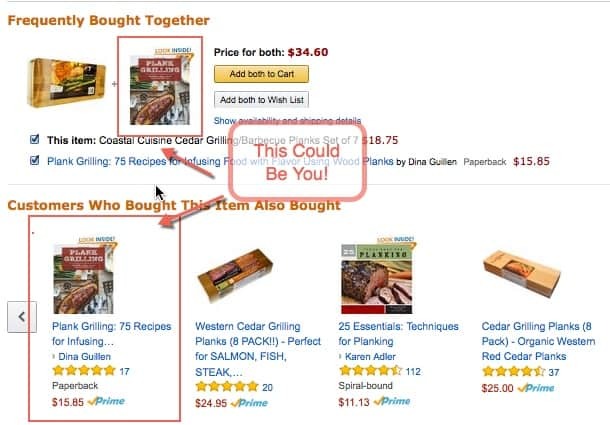 There are several methods for finding complementary and competitive products on Amazon. The main methods are general keyword searches, "book" keyword searches, "Customers Who Bought This Item Also Bought" listings, and Amazon Best Sellers lists. It's a good process to take your list of cookbook subjects and go through the following methods, getting a feel for the complementary products in each subject, and the other cookbooks you'd be competing against. General keyword searches are a great way to find complementary products, and to see if there are any highly ranked competitive books. To do a general keyword search, just set the search area to "All" or "All Departments" and type in your keyword. 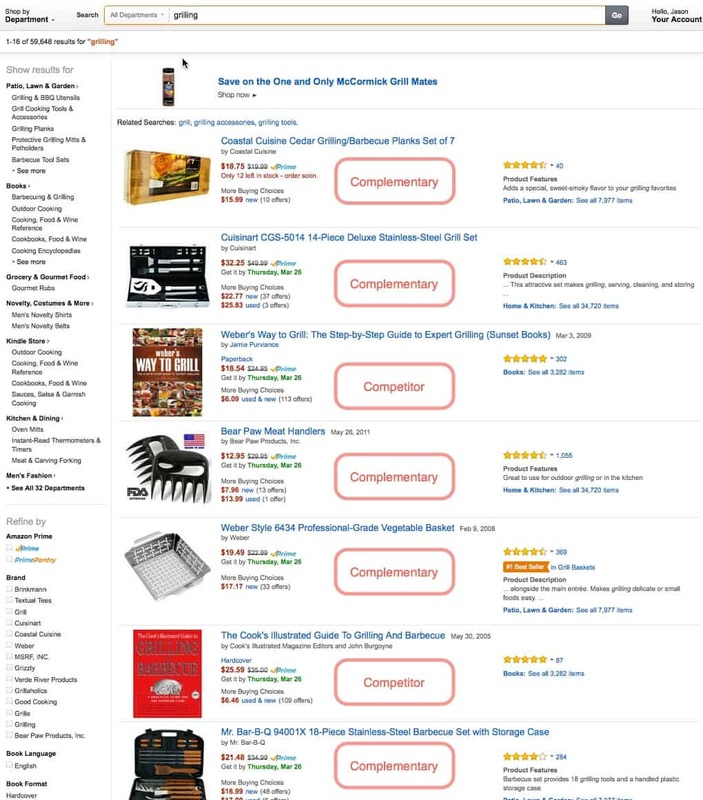 The search results will be a combination of books and other products having to do with your keyword. It's a great way to find the top complementary products for your keyword and also discover how high the competitive books rank. The next search type is a book-only search for any associated keywords. Just set the search area to "Books" and type in a keyword. This will show you the general competition for your subject keywords and many of the books you will be competing against. It's important to realize that even if your book isn't on the same subject, these books are still your indirect competition because you are fighting with them to show up higher in the search listings. For example, you might be writing a book on "Brewing beer" and only 2 of the top 10 results for "beer" are about brewing, but you still want to show up ahead of the other books that are on "beer tasting" and similar subjects. For every competitor and complementary item you find, it's helpful to look at the "Customers Who Bought This Item Also Bought" listings. These listings show other books that are potential competitors to you as well as many complementary products. It also helps you judge if most people interested in the subject purchase more than one book of that type. 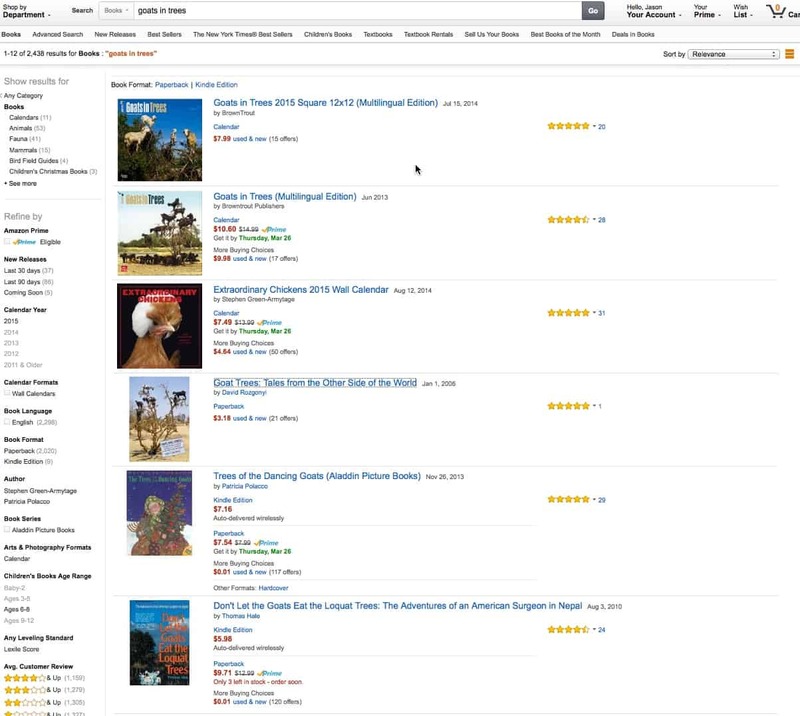 Amazon maintains a list of best sellers in many different subjects. These subjects are a great place to find successful cookbooks that are competitors to your cookbook. 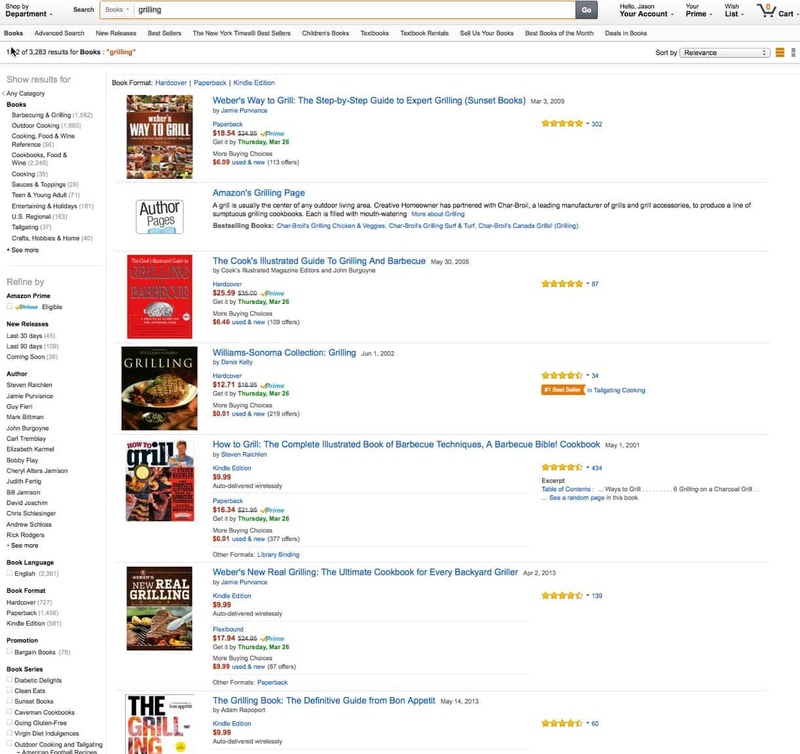 You can access the best sellers from the sales rank listing on any best seller's product page or by going directly to a subject like Books or Cookbooks . Once on the Amazon Best Sellers list, you can work your way up or down the subject tree, looking for subjects that interest you. Another good way to find subjects that might apply to you is by looking at the Amazon Sales Rank area of the "Product Info" for some of the competitive books you found. There are many subjects spread throughout Amazon that aren't listed directly under the "Cookbooks" section and they can be easily found using this technique. Once you have found several categories that best fit your subject, you can do a competitive breakdown of each category.